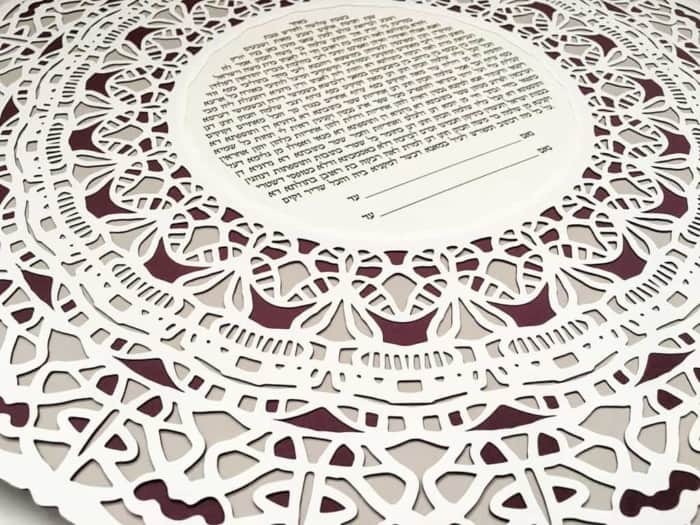 The mandala is the contemplation of infinity given visual form. 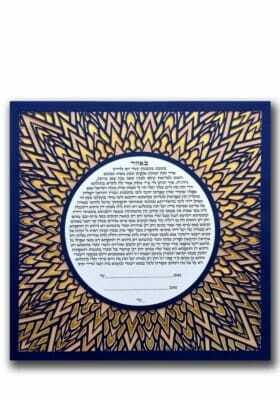 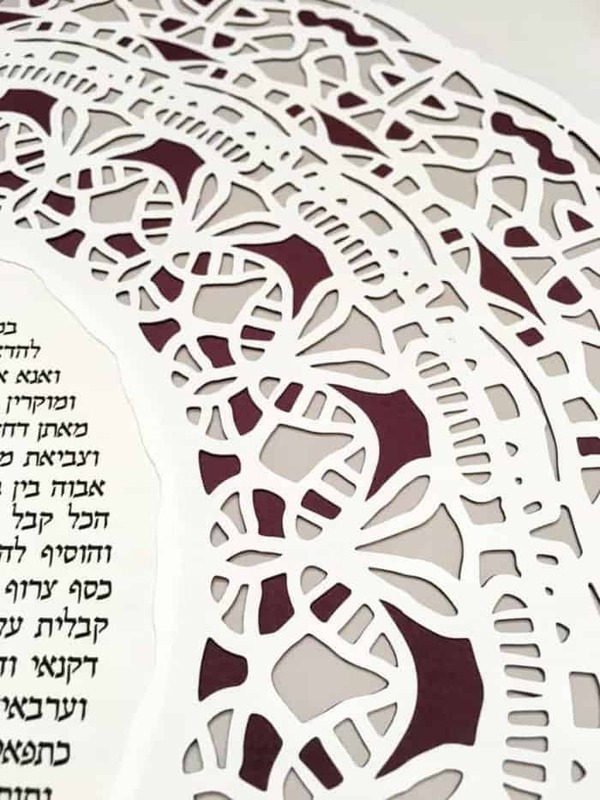 The mandala ketubah is deceptively simple looking at first glance, but upon closer inspection reveals a deep intricacy of form and function. 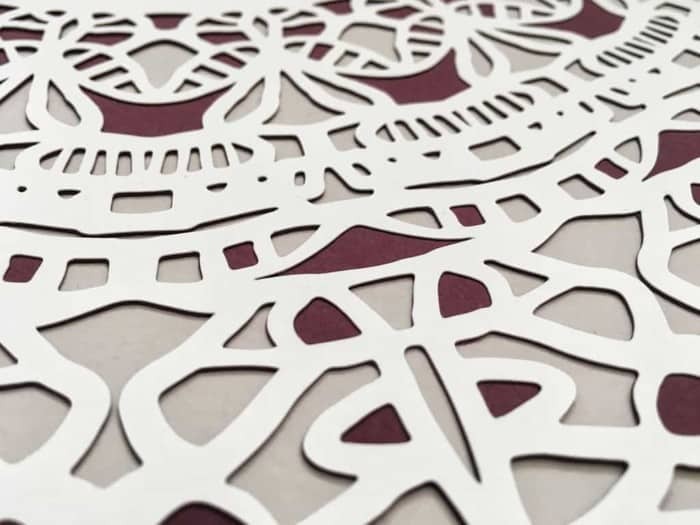 Composed of over 2000 individual cut out shapes, this design is rich in texture and complexity. 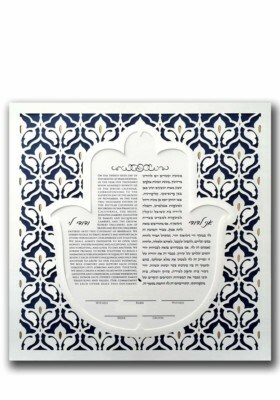 There is only one size option of 18×18 in order to accommodate all the fine detailing. 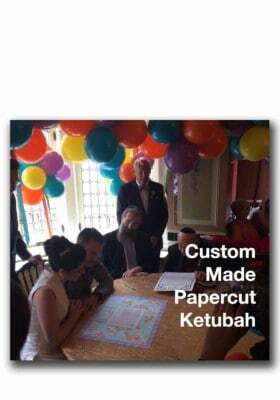 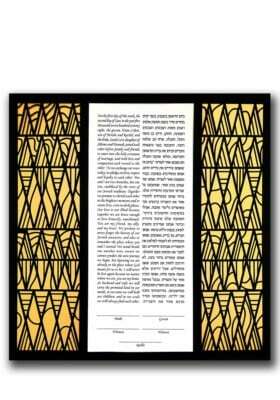 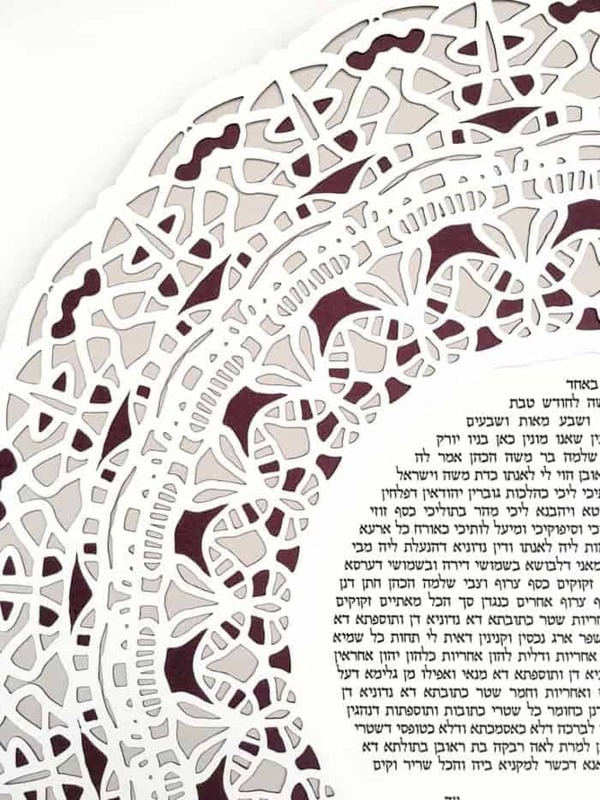 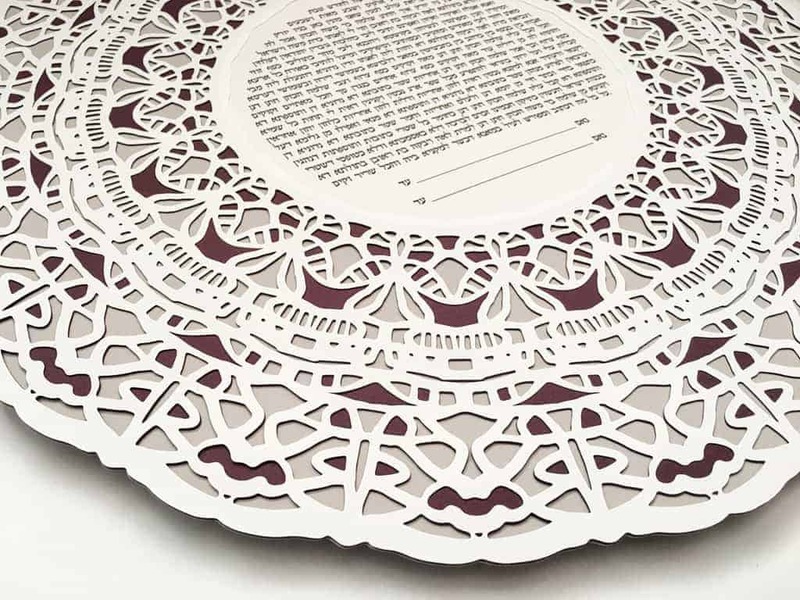 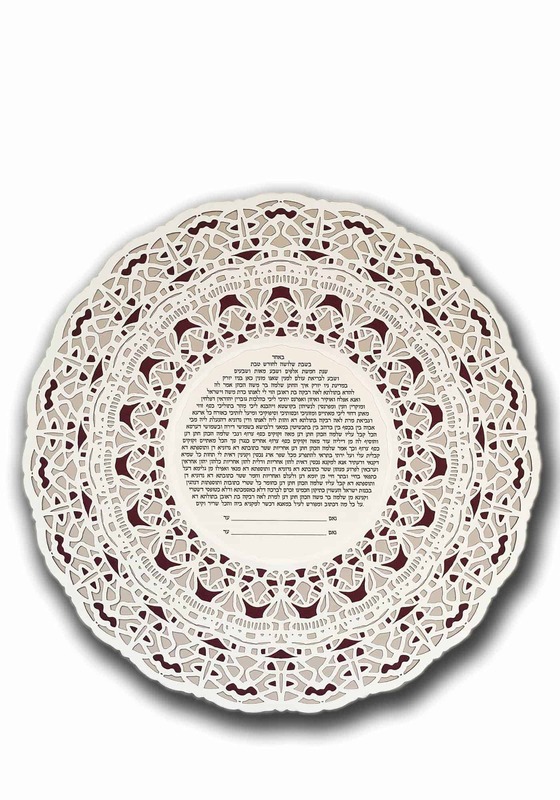 You will be provided with a wide variety of ketubah text options to choose from, or you can provide your own text as an editable file (txt or doc). The default color for this design is as shown in the photographs, in white, light gray and eggplant for. 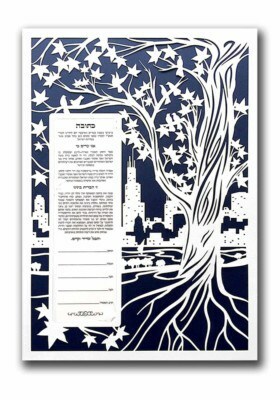 You can opt for a different color scheme at no additional charge. 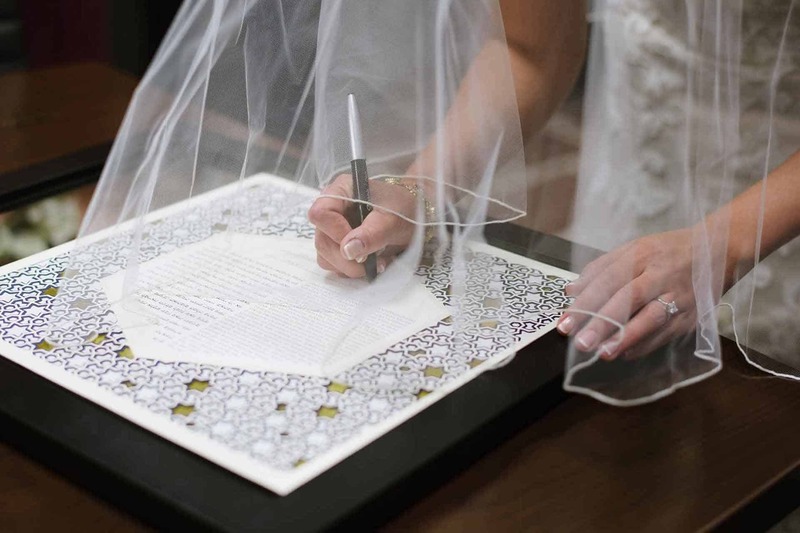 Keep in mind that each computer screen displays colors a bit differently so colors may not be exactly as shown.